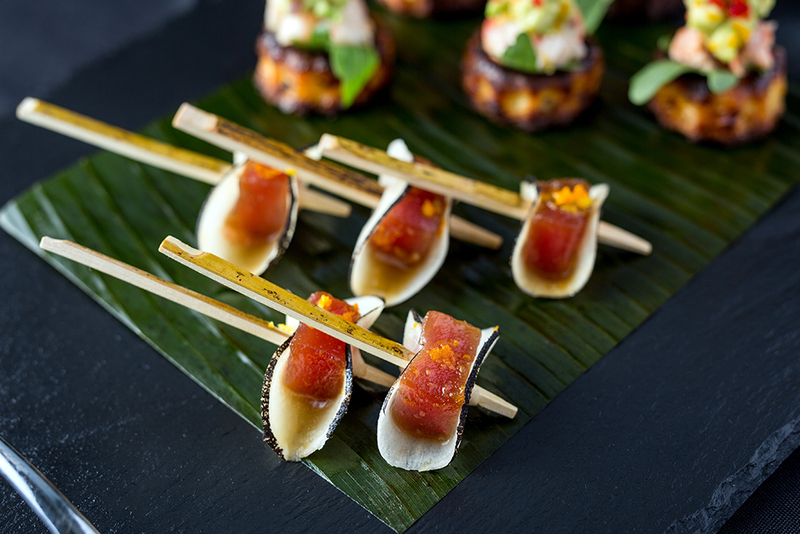 Robert Alexis Traiteur specializes in events where finger foods and hors d’oeuvres take centre stage. Delight your guests by offering them a varied and refined culinary experience—in bite-sized portions. Our team provides unequalled service, emphasizing quality above all. If you would like to plan a cocktail party, several options are available. You can order our hors d’oeuvres à la carte and create a personalized menu from scratch featuring all your favourites. With so many options, you’re sure to find the exact flavours you’re looking for. We have also developed some happy hour cocktail menus for you. Leave the decision-making to us with these ready-made selections, and you will have an ideal array of snacks for your guests. These menus feature our signature hors d’oeuvres; all you need to do is enjoy them. If you would like to serve heartier fare at your event, consider our cocktail reception menu. It’s a little different from the usual cocktail party in that we serve more filling dishes in addition to snacks and hors d’oeuvres. Guests can enjoy a complete, no-fuss meal, without having to remain seated for hours. Lastly, we also have a wine and cheese option, which is more popular than ever. And for good reason! It’s perfect for an elegant and pleasant event, and our version is deliciously indulgent. You’ll find a lot more than just wine and cheese on the table!